In Q2, online gambling in Portugal suffered a drawback as operators who are licensed locally failed to attract new customers. 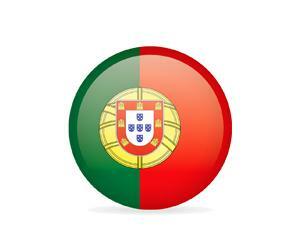 Q2 and H1 2017’s online gambling figures were released on Tuesday by Portugal’s regulatory body The Serviço Regulação e Inspeção de Jogos do Turismo de Portugal (SRIJ), which highlighted how seven online licensees in the market, reported a revenue of €25.4m, in three months that ended on June 30. Since the market’s launch in June 2016, this was the first time that sequential revenue decline was noted according to the figure. When it comes to the lowest quarterly total, it is placed second to Q3 2016’s revenue of €24.1m, and way below the Q1 2017’s revenue of €31.4m. The total market revenue generated till date is €108.1m. The revenue generated by sports betting has been on a perpetual decline since the launch of the market in 2016, mainly due to the fact that it coincided with the start of Euro 2016, in which Portugal’s national football team won the finals. But, if we look at the Q2 stats of 2017, sports betting only generated a revenue of €13.9m, which is 20% less than that generated in Q1 of 2017, and with each passing month, the revenue declined. The most dominant betting sports still remains football, which managed to capture 75% of the H1 betters, with second being tennis with 14% and third being basketball with 8.7%, while other sports contributed mere 2% in total. SRIJ’s online poker, which makes up the online activity, was again negative in Q2, declining from €13.9m in Q1 to €11.4m. When we talk about the revenue generated on monthly basis, the revenue of casino peaked in May with €4.4m in total, before it finally declined again in June to €3.5m. A majority of the revenue generated by online casinos was due to slot games, which contributed 38.1% to the total revenue, while poker games including cash contributed 24% In total. Other games that contributed included roulette with 19.8%, blackjack with 9.3% and last in the list was tournament poker with 8.7%. Poker share that contributes to the casino pie remained untouched from Q1, while SRIJ is still looking at details of shared online poker liquidity with three of the major European markets which are Union regulated, that include Italy, France and Spain. Talking about new customers that register with online sites, the numbers have again decreased in Q2, with only 64,000 new accounts registering with online casino sites. The number is almost the half of Q1, where 112,000 new customers registered with online casino sites. The highest number of registrations was during H2 of 2016, with over 411,000 new customers registering. Speaking on a monthly basis, June recorded the lowest number of new registrations with just 9,600 new signups, compared to the 40,600 new signups in April. The tax revenue generated by the Portuguese Government from online gambling in H1 of 2017 was €16.3m, which is approximately half a quarter of the total revenue by operators. 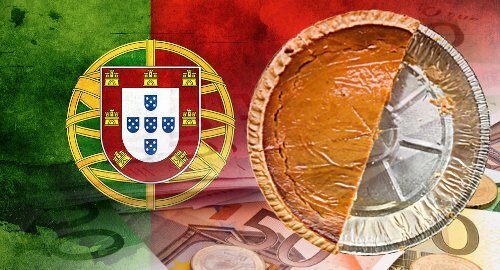 Comparatively, it is still a low percentage of what the Portuguese Government has been taking back from these operators, which directly reflects the continuous decline in the overall sports betting activity, where the Government is taxing the operators 16% in total, depending on the volume.